Our Electrogator and Alumigator lateral move systems receive the same high quality materials and attention-to-detail engineering as the rest of our irrigation line. They also have enough custom features to match your exact needs. 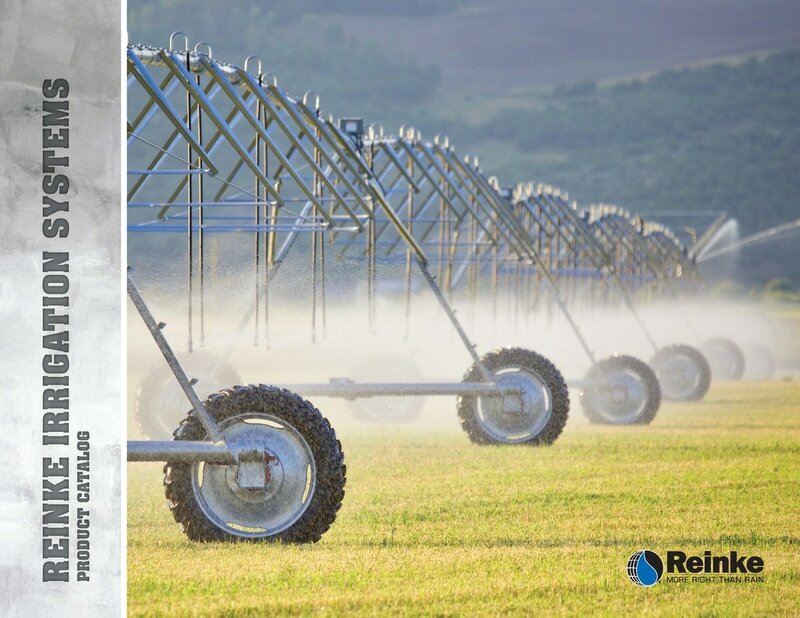 When the goal is watering your square or rectangular field while conserving water, look no further than Reinke. Our 2-wheeled option offers great versatility with features such as forward and reverse tow options, double inlet hose systems, internal check valves and quick coupler connections on both ends. A double-end feed option is also available. Our best option for larger fields. Floating axles keep all four tires on the ground, allowing this unit to pull large hoses (up to 8-inches) as required by high flow systems. With either power cord pull or an onboard power supply, this is your right hand man. With the ability to irrigate two sides of a rectangular field, our Pivoting Lateral Move is the most versatile system we offer. When the system is finished with one side of the field, it pivots easily to irrigate the other side. It uses only one cart path, no towing is necessary and you're able to irrigate twice as many acres with just one system. The Reinke Canal Feed system carries its own pumping equipment and generator within its compact and clean design. You'll also receive annual energy savings from its ability to reduce system pressure loss by using the center-feed option in larger fields. Navigator GPS- Provides extreme accuracy in timing and application. Furrow- Uses specially designed wheels that track a V-furrow parallel to the travel path. ​Cable- Assures accurate lateral movement and uniform water distribution over the entire field. ​Fence- Creates no additional obstacles in the field and requires minimum maintenance.